Dr. Levin comes to Boston Breast Diagnostic center with over 24 years of experience as a Diagnostic Breast Radiologist. 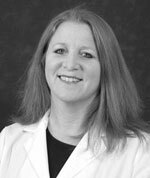 Her clinical interests include all aspects of breast imaging and intervention including digital mammography with the use of computer aided detection, breast ultrasound and dedicated breast MRI. Dr. Levin’s expertise is requested regularly to speak at national meetings dedicated to imaging excellence, including the American Society of Breast Surgeons, the Radiological Society of North America, and many more. In addition to her speaking engagements, she has published numerous articles on breast imaging, and enjoys teaching and training other physicians on the subject of breast imaging. The Aurora Breast MRI service, led by Dr. Levin, is nationally recognized for its excellence in high-risk screening and evaluation of the newly diagnosed breast cancer patient. She has read more than 20,000 breast MRI studies, distinguishing her as one of the nations premiere experts on the topic. Dr. Levin was the former Medical Director of the Faulkner-Sagoff Breast Imaging and Diagnostic Centre at Faulkner Hospital. She received her medical degree from Tufts University School of Medicine and went on to complete her residency in Diagnostic Radiology at Boston University Medical Center. Following her residency, she spent one year as a fellow in breast imaging at the Faulkner-Sagoff Centre under the direction of Norman Sadowsky, M.D.